Lil Wayne just might land on Curren$y's Pilot Talk III. "Me and the homie work all the time," Curren$y says when I Got It For Free asks him about Wayne's Pilot Talk III appearance potential. "I got two or three in the clip right now that haven’t been released that we did, so maybe.” said Spitta about the likelihood Wayne will be featured on the project. “I got Baby on the ’10 Gs’ remix. I’m gonna put that out in a second too." 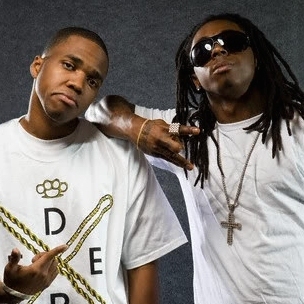 In July 2010, Curren$y spoke about his bond with Wayne. "We chopped it up at a talent show and then I went down to Miami and put some records down and I did that for a few years," Curren$y said at the time, speaking of his work with Young Money. "Until I realized the same thing: that it wasn't a good fit." Despite not being a part of YMCMB, Curren$y said things were still mutually respectful between the two acts. "I mean, I'm just chillin', and we both just doin' what we doin'," he said then. "Ain't no love lost, but for right now it's JET life."